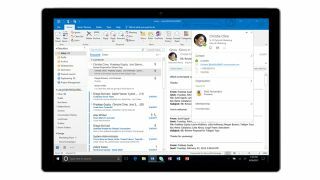 Microsoft has announced a fresh batch of new features which have arrived for Office 365, including the debut of co-authoring in Excel. Yes, co-authoring is now live in the spreadsheet program, meaning you can collaborate with other folks in Excel files which are stored in OneDrive (and OneDrive for Business) or SharePoint Online. Furthermore, Microsoft has added auto-save functionality for Word, Excel or PowerPoint files being worked on and stored in these cloud services, so every change will automatically be saved without the user having to worry about manually doing so. This is also live right now. Microsoft also did some work on Yammer, overhauling the iPad app with a fresh design and universal search functionality. Office 365 usage reports now have a Yammer activity report, as well. Microsoft Teams got some attention in terms of its usage in schools, with the introduction of the ability for both teachers and students to obtain a full view of their OneNote Class Notebook inside Teams. IT admins have been given the ability to set permissions when it comes to third-party apps in Teams, and also the power to disable (or enable) private chats. And when it comes to class assignments, it’s now possible for teachers to add web links to reference materials, which will obviously come in pretty handy. All of the aforementioned features are now available, and the final piece of the Office 365 puzzle is rich profiles, which are currently rolling out to Outlook for Windows. The new profiles automatically surface the most relevant contact information and related conversations and files. It might interest you to learn that Microsoft also recently bolstered the collaboration chops of the preview version of Office, adding in-line chat functionality to Word, Excel and PowerPoint.